L.L. Bean doesn’t run many sales, which means most of the time people are paying full price for their items (and rightfully so, the quality is worth the price). 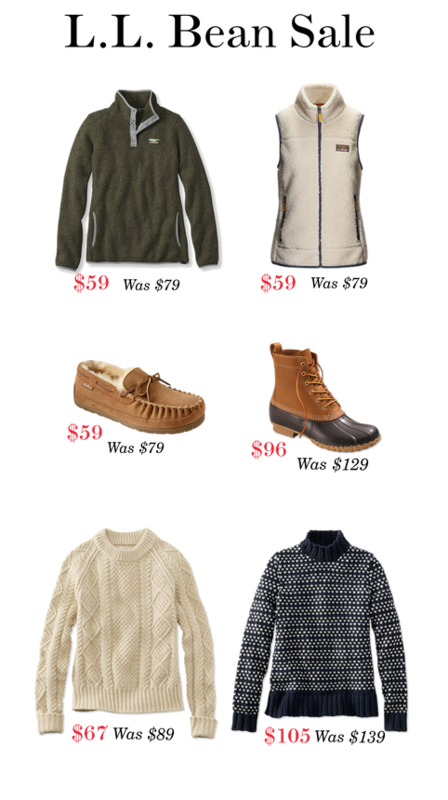 Normally around Christmas they will run 15% off, but for the first time in years they are running a 25% off everything – including bean boots. Many items are already sold out on the website because of this great deal. My mom is always asking for ideas for Christmas so right when I heard of the sale I asked for this hat (now sold out, but thankfully she snagged it in time), and these snowshoes for me and for Joe. We snowshoe 4-5 times a winter and our old snowshoes come undone so often while using them. I’m excited to try a pair with this different bindings that make it easier to use. Did you get anything from the L.L. Bean sale? As always, I don’t use affiliate links so no money goes towards me and all my opinions are 100% my own.